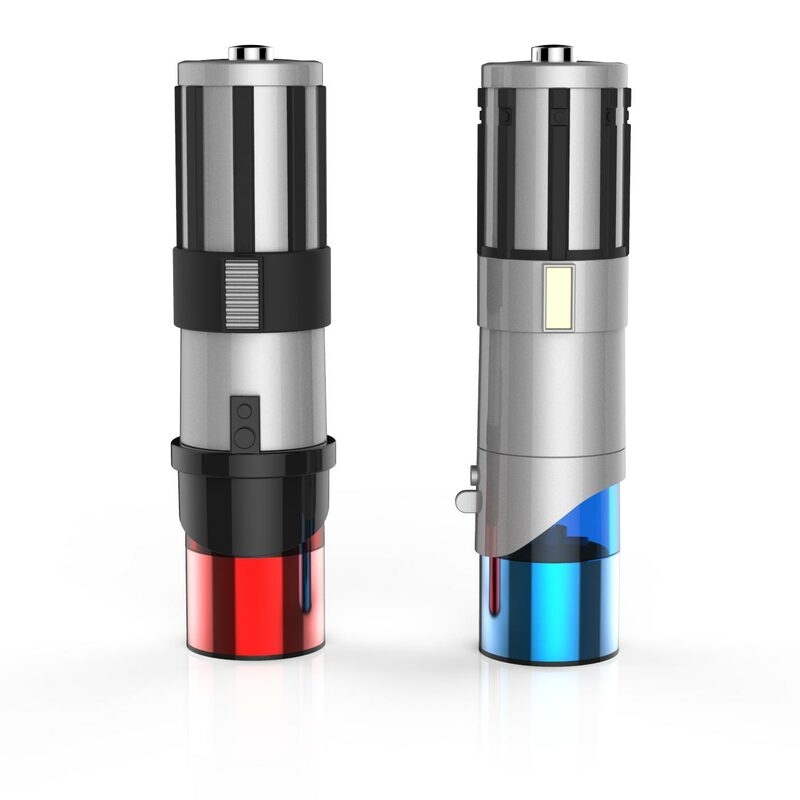 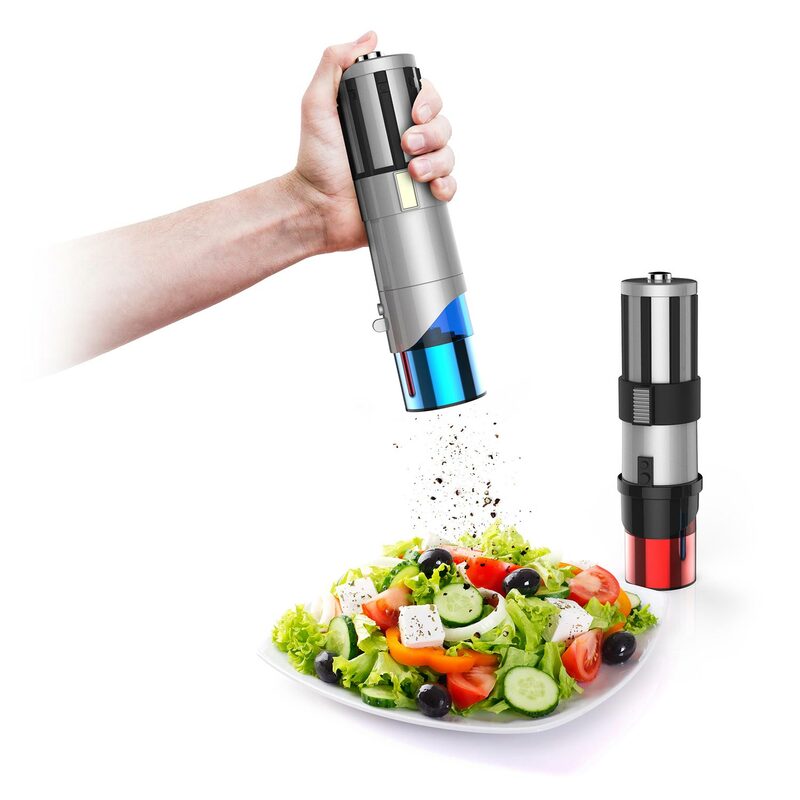 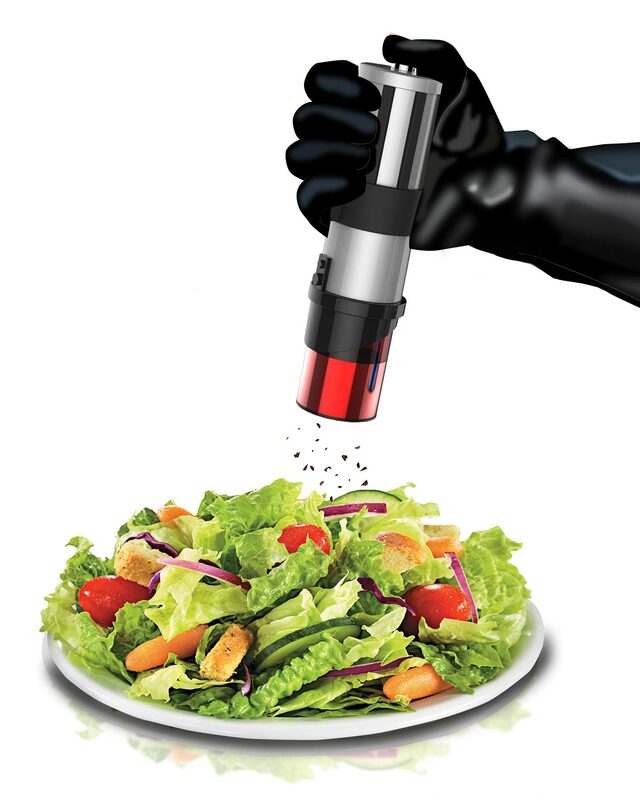 These Lightsaber Salt and Pepper Mills are elegant spice grinders for a more civilized age. 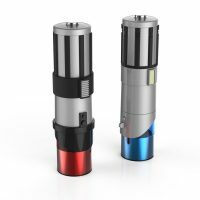 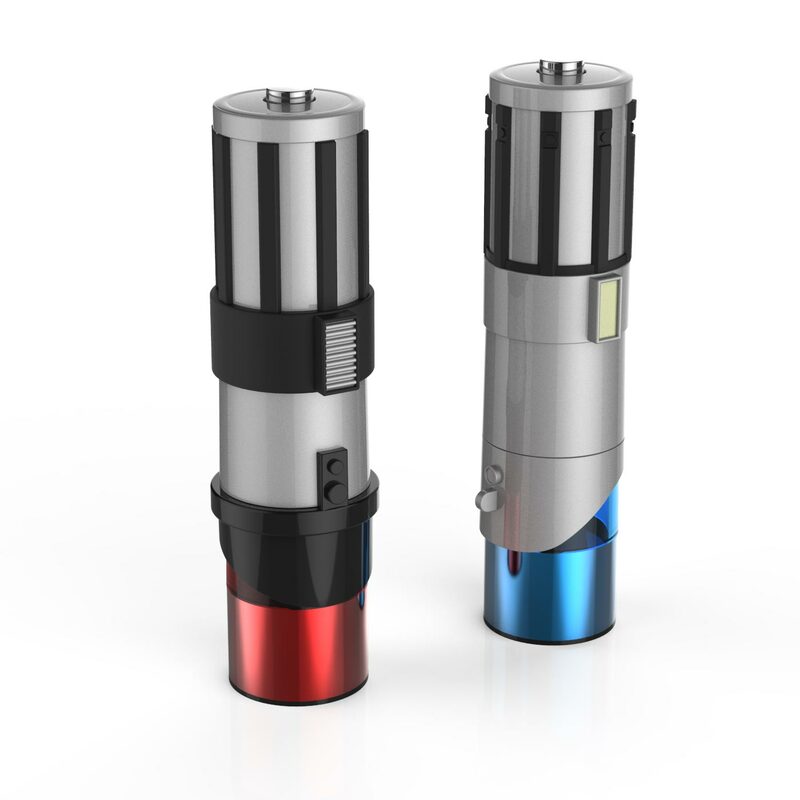 They are designed to look like the hilts from Anakin’s (Blue) and Darth Vader’s (Red) hilts and they light up when you hit the dispenser button. 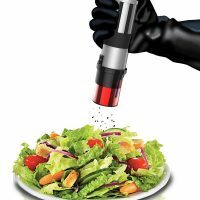 Who knew that choosing the light or dark side of the force was the same as choosing salt or pepper? 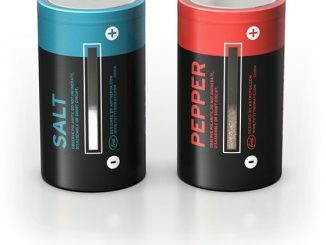 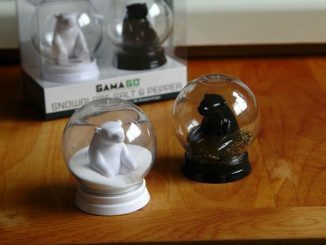 Even though they look cool, this doesn’t come a the expense of functionality. 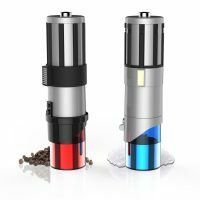 They feature high quality ceramic grinding mechanisms that can be easily adjust for fine or coarse grind. 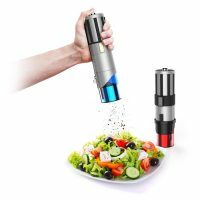 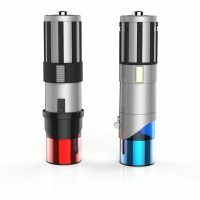 Since they are electronic (battery operated), you just push the button to dispense salt or pepper from this lightsaber shaped mills. 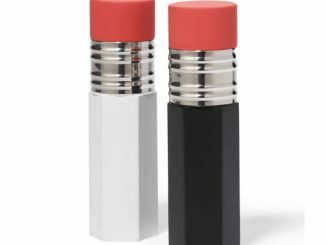 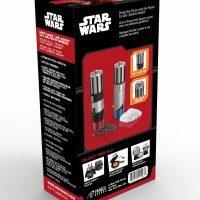 Everyone from denizens of the Death Star to the irregular regulars at the Mos Eisley cantina would appreciate a little extra flavor, so these Lightsaber salt and pepper mills are a great idea no matter where your travels take you. 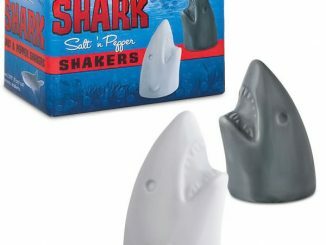 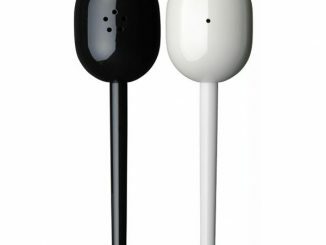 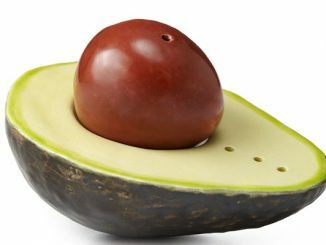 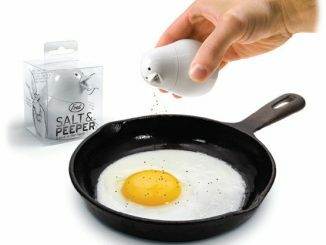 Not as clumsy or random as a regular salt and pepper shaker, these elegant grinders have a ceramic mechanism you can adjust from fine to coarse. 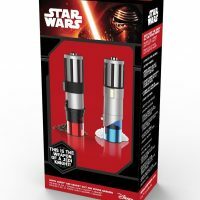 These mills are made from high-quality stainless steel, and their exteriors are durable ABS plastic molded to look like your favorite Jedi weapon. 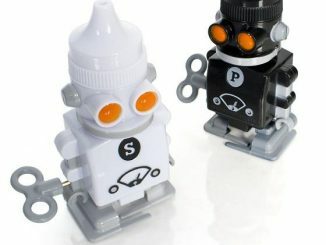 Each runs on four AA batteries (not included). 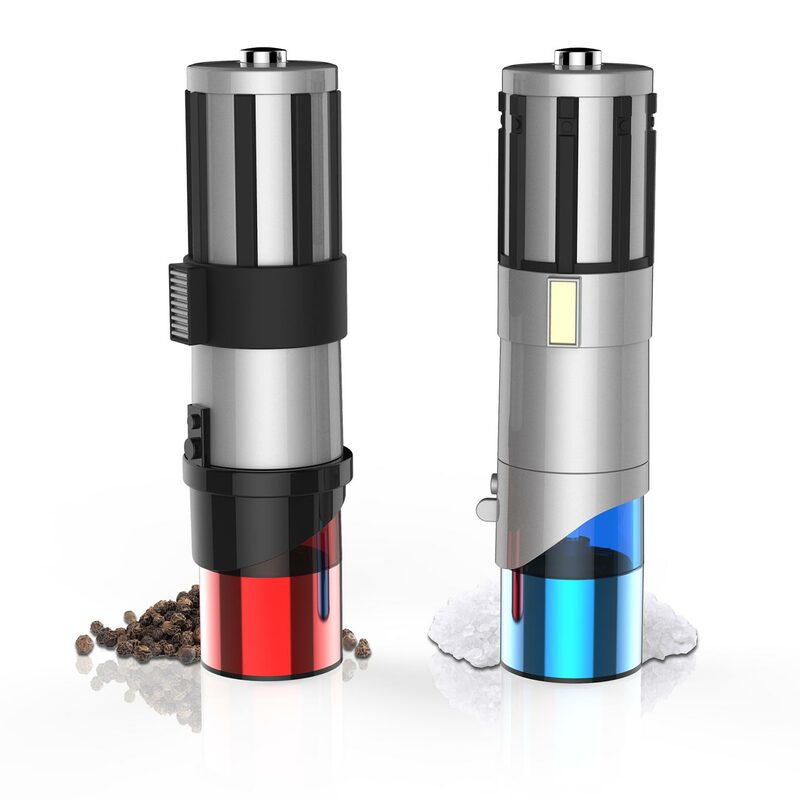 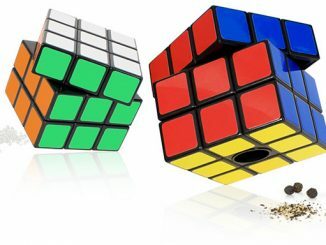 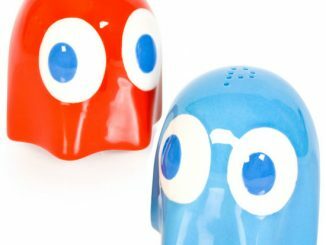 Set of two grinders — one red and one blue. 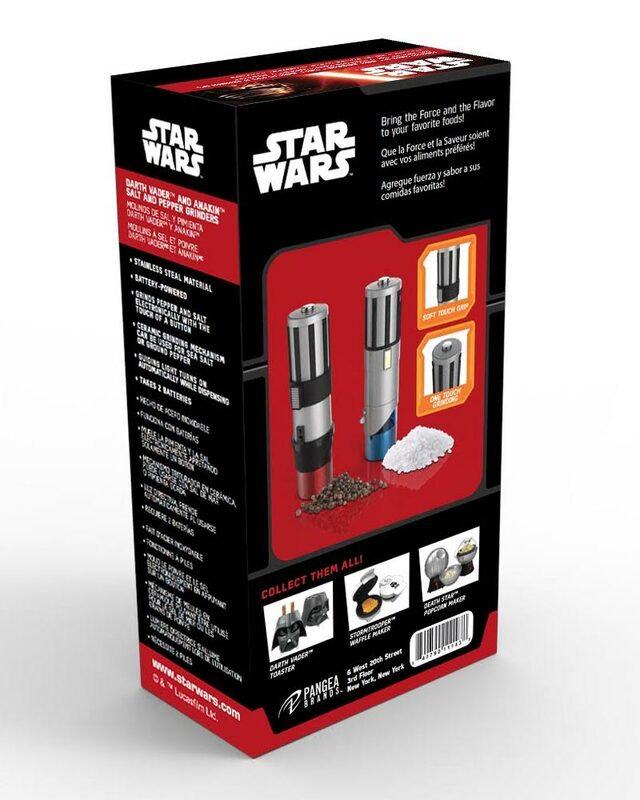 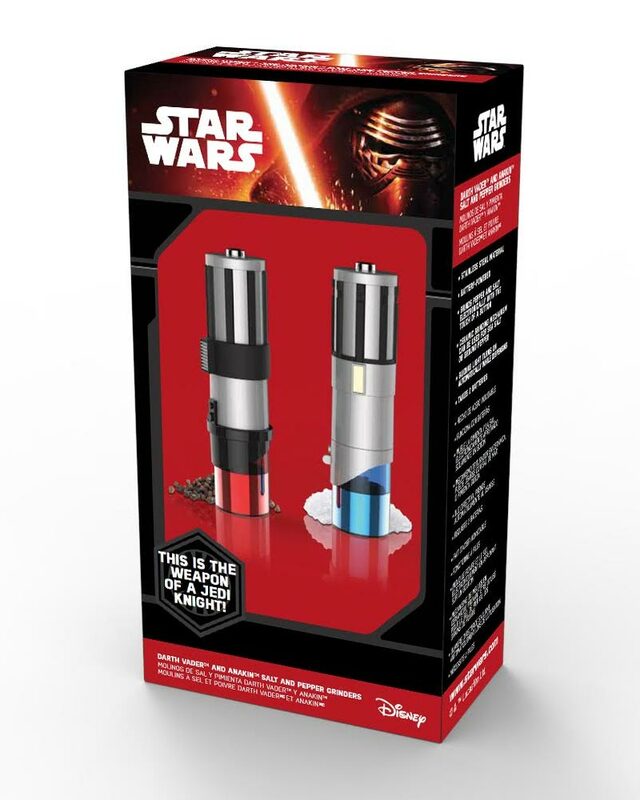 Lightsaber Salt and Pepper Mills can be purchased for $39.99 at Kotulas and Walmart. 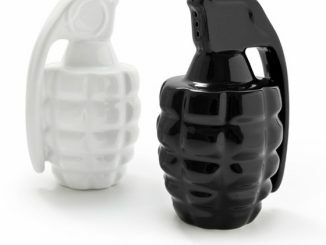 They are also available for £39.99 at TheFowndry. 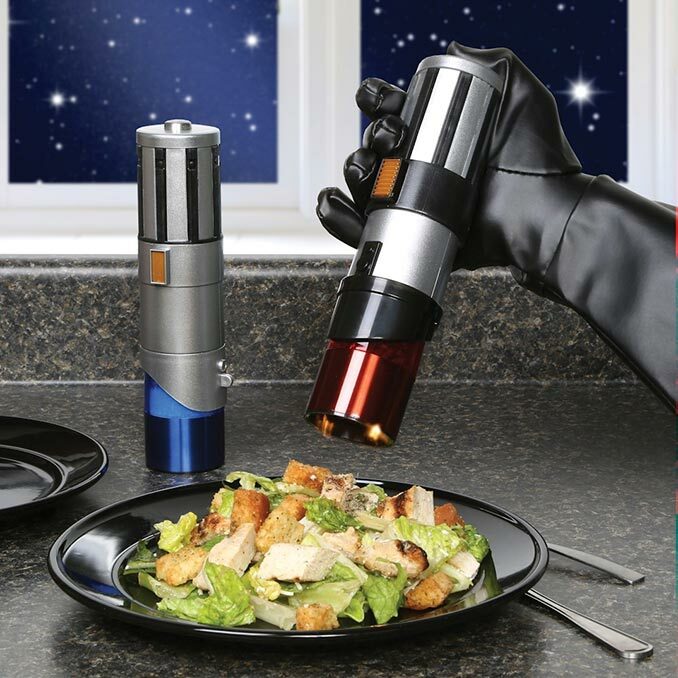 Goes great if your kitchen is loaded with other Star Wars kit like the Darth Vader Toaster, Death Star Cookie Jar, or R2-D2 Coffee Press.